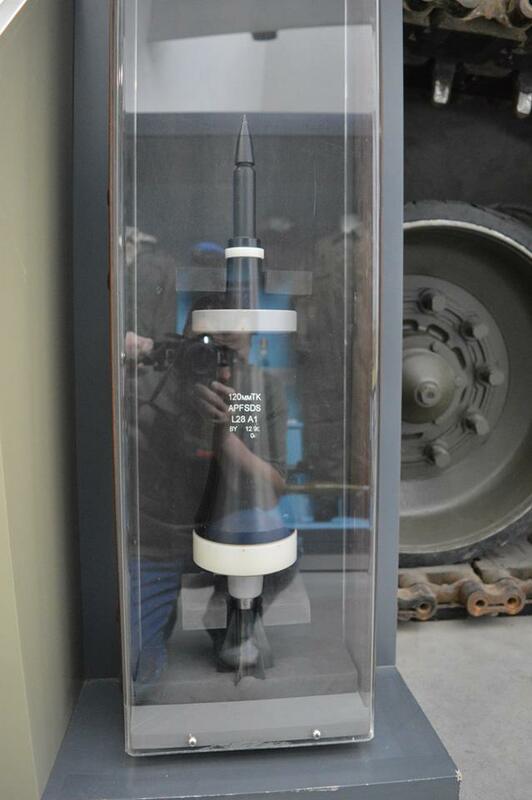 Thread: British 120mm APFSDS service projectile. Just a few pictures to show one of the 120mm APFSDS projectiles I've got. This one has had the bands cut so the sabot can be taken apart. It would be fired from a rifled gun so the rear band rotates quite freely to reduce spin. With reference to the line drawing, what is "buttress threading"? imparts drive to the Core." In the case of darts and sabots, the flat side of the thread is the closest to the tip of the dart, so that it can push the dart forward. Once the assembly leaves the barrel, the angled part of the thread helps the sabot pieces break away from the dart. Thanks for your help guys, that makes it a lot clearer now - interesting how the sabot and dart interact, I'd never thought of it like that before. is L28A1 ever used ? or it's some sort of "rename" for L27 ? Is the aluminium ring at tip of the "dart" to produce a flash on armour contact, and does the combustible case at rear somehow prevent the fins (Material?) becoming distorted-it appears to be empty? ........and does the combustible case at rear somehow prevent the fins (Material?) becoming distorted-it appears to be empty? 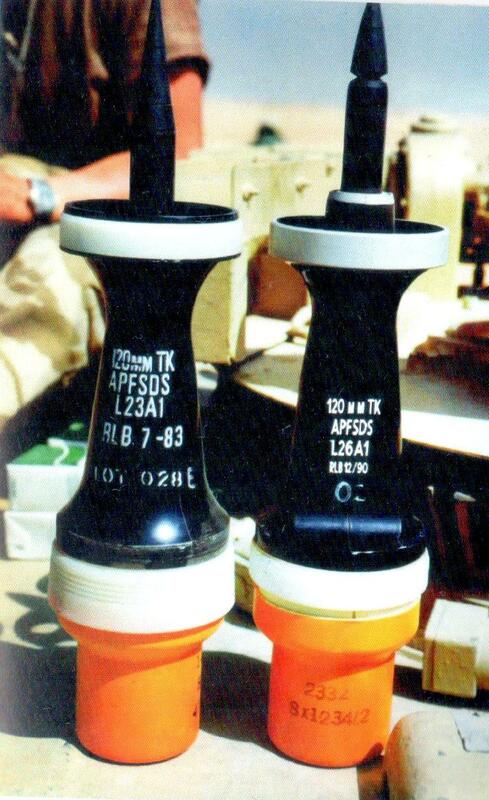 Here's a picture of a sectioned 120mm to show the combustible cap that covers the fins.